What is the technology of plastic to oil pyrolysis machine ? Pyrolysis plastic is a thermo decomposition of plastic polymer. During high temperature processing, waste plastics will be converted into oil gas for further cooling. After cooling the plastic oil gas will be converted into liquid oil. Pyrolysis plasticis a little different from tire pyrolysis. The difference is in its feeding method and oil yield. Plastic oil yield will be different based on different plastic material. And there are some plastics are not suitable for pyrolysis. So please let us know your plastic material so that we can introduce you the plastic pyrolysis processing properly. As we all known, when process waste tires, we will finish the whole feeding first and then start to pyrolysis processing. But plastic feeding will be different. Because it is light and difficult to meet the feeding capacity if feed same with tires. Therefore, we will feed plastic while heating. After it melts we will feed and heat again until finish all plastic’s feeding. 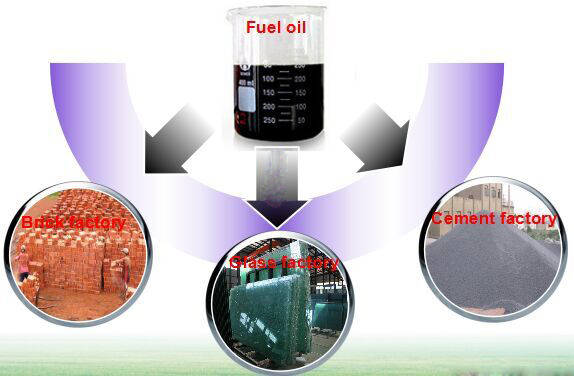 After finished the whole pyrolysis plastic processing, you can get plastic fuel oil and carbon black finally. 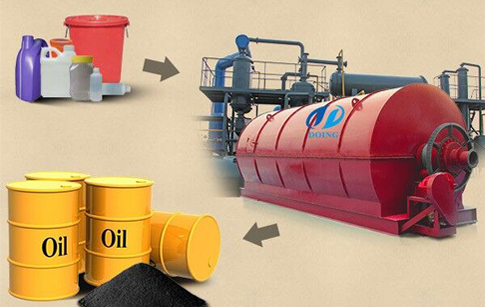 Plastic oil can be used as heating material for steel factory, brick factory, glass factory, cement factory etc. If you don’t want to sell as heating fuel, you can buy a distillation machine or sell it to a big refinery for further refining. Prev:How to feed more tires into the pyrolysis machine? If you wanna to get more details about What is the technology of plastic to oil pyrolysis machine ? you can send E-mail to market@doinggroup.com. You can consult our professional engineer and specialized sales team with leave a message in below form.We will contact with you ASAP.You also can visit our factory in Henan,China.Get Detailed address.